An increasing number of countries across the world are making a commitment to putting wellbeing at the heart of government, including New Zealand and Northern Ireland. What can we learn from those leading the way? The Carnegie UK Trust is an advocate for identifying and learning from unusual friends, across places, spaces and sectors. And what two places can form a more unusual friendship than Northern Ireland and New Zealand? On opposite sides of the world, with different political systems, and with different cultures and histories. In fact, despite their differences, the OECD’s How’s Life in Your Region? tool shows that there is much Northern Ireland can learn from Wellington on civic engagement; housing; and the environment, and, equally, there is an opportunity for Wellington to gain insight into access to services; strength of community; and health from Northern Ireland. And yet there is a core similarity between these places which can never be captured by any international comparison tool – a commitment to put wellbeing at the heart of government. © Victoria University of Wellington. All rights reserved for all images used in this post. 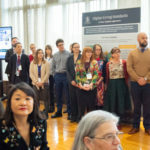 In early September 2018, hundreds of policymakers, practitioners, and academics gathered in Wellington for the Third International Conference on Wellbeing in Public Policy – an opportunity for policy learning beyond borders over three keynote addresses and 150 breakout sessions. 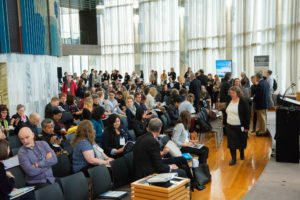 New Zealand was an appropriate host for the conference as it seeks to become first in the world to introduce a wellbeing budget in 2019 – a budget which links investment priorities and funding decisions to a range of objective quality of life indicators, such as progress on child poverty, good quality housing, and environmental sustainability. and the availability of data which informs meaningful monitoring and progress reporting. Representatives from the international to the local – from the OECD to Local Government New Zealand – confirmed to delegates that these have caused diversions on the journey beyond GDP. What can be done to help overcome these obstacles in embedding wellbeing in the budget process? Well, the Trust argues that we need to practice what we preach and work in the way that we ask others to in improving wellbeing – in partnership and maintaining a focus on outcomes. Because when one council, county, or country makes progress in measuring wellbeing, developing policy based on a basket of indicators, or successfully linking these indicators to investment, we all make progress. 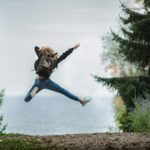 This is why we have developed an Embedding Wellbeing Support Network – to harness the enthusiasm and expertise of a wide range of stakeholders so that we may come together to support policymakers and practitioners, just like our Embedding Wellbeing in Northern Ireland participants, to improve wellbeing outcomes. Because, from Sweden’s ‘new measures of wellbeing’ to Ecuador’s National Plan for Buen Vivir 2017-2021, to the Santa Monica Wellbeing Project, there are a range of wellbeing initiatives around the world of all ages and stages, with pockets of knowledge and good practice. Because, although large, annual international conferences are welcome to focus our minds, there is an opportunity to develop an agile network responsive to immediate needs which can keep pace with good practice as it develops and allow us to all learn along the way. And so whether questions, or solutions, are on partnership working to achieve progress towards wellbeing outcomes, data sources, or developing domains, the Embedding Wellbeing Support Network can act as a convening cyber space to host these discussions, and crucially, facilitate taking knowledge and expertise from a web link to a wellbeing framework. 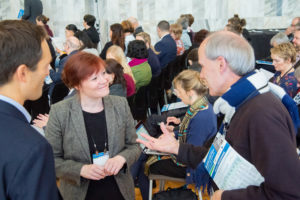 Because, as conference keynote speaker Dr Diener highlighted, a successful focus on wellbeing gives policymakers and practitioners information about which groups and policy areas require our resources – from mental health in Northern Ireland to preserving Māori culture in New Zealand. And an online network allows policymakers and practitioners to do just this, to take offers of support and guidance and apply these to local conditions, so that those groups and policy issues most in need of our limited resources become clear – and that improvements in the policymaking process translate into progress in improving wellbeing. 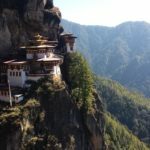 Post by Lauren Pennycook, Senior Policy and Development Officer, Carnegie UK Trust.